Brads Kokanee cut plug doctored up ended up saving the day on Shasta! They aren't widely used and they are something different if you don't have time to prepare real bait for the day. 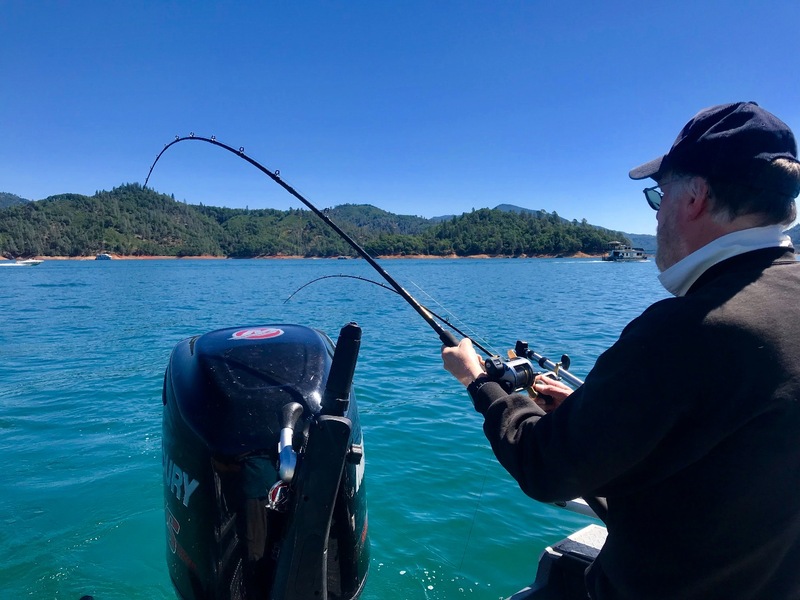 We fished Shasta Lake again yesterday and found a red hot bite first thing in the morning even though we started later than normal. Its always nice to get the rods bouncing before you have a chance to get all the lines down. The action quickly dropped off, but making a few moves helped get us back on track. 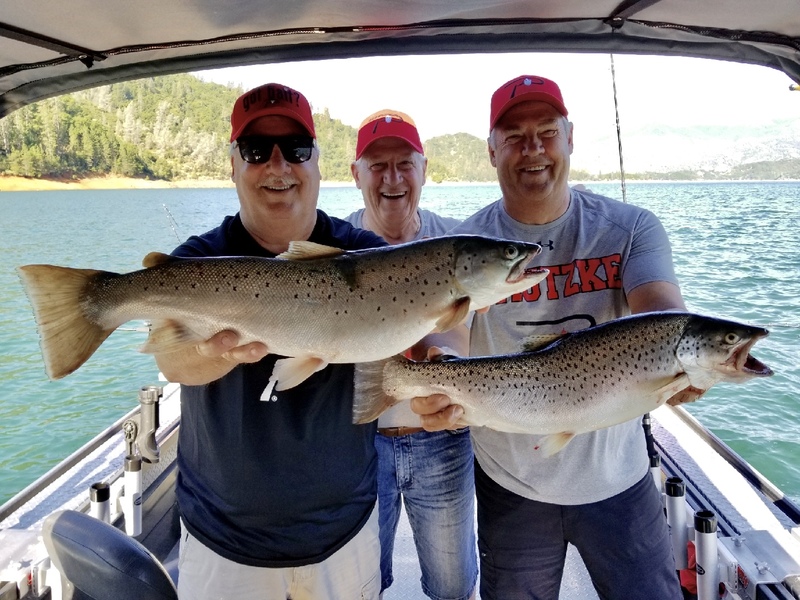 Phil and Rand were traveling so all fish caught were released yesterday. Its important to note when reading reports, even mine, one of the many things that makes our days successful on Shasta is the variety of presentations we deploy. Just because yesterdays baits were hot doesnt mean they will perform as well the following day, especially during transition periods like we are seeing now. Some of my biggest fish come on tiny 1" spoons and the floowing day they come on 4" spoons. Don't get stuck on running baits all day that others say were hot last week or even yesterday for that matter. 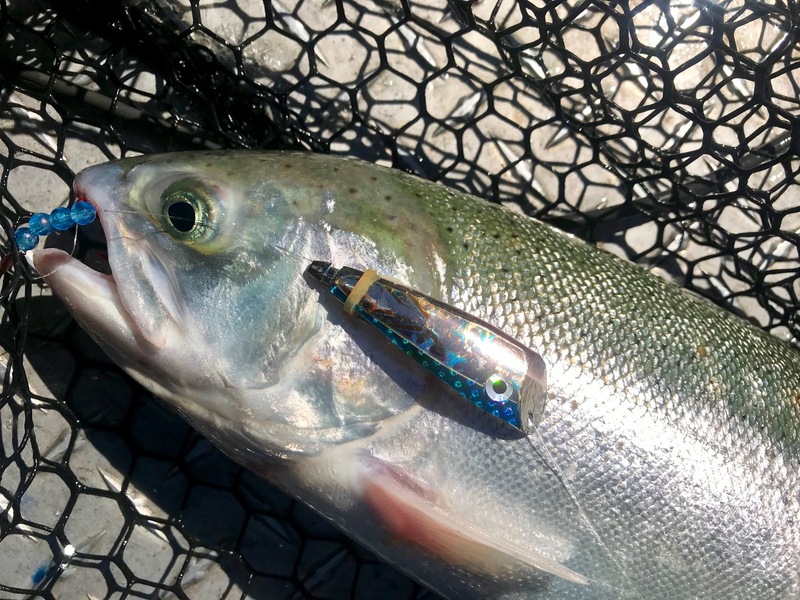 Getting info from others is a great idea, but it should be used as general information and only to assist you in developing a pattern for your DAY of fishing. There are so many pieces to the daily fishing puzzle and thats what makes it a fun and challenging sport. Relax and have fun while on the water, but don't get lazy if you expect to find the biters every day you fish. Tight lines! 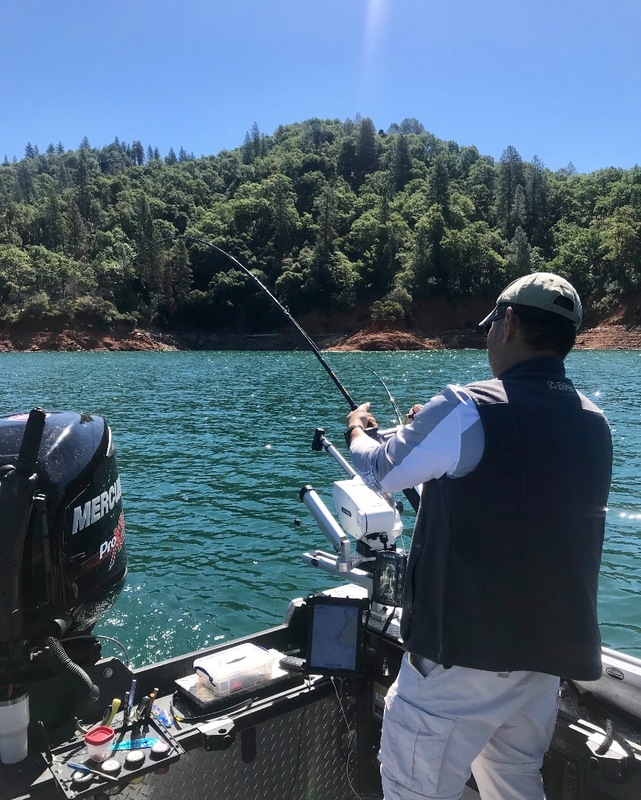 Shasta Lake trout herding Shad! 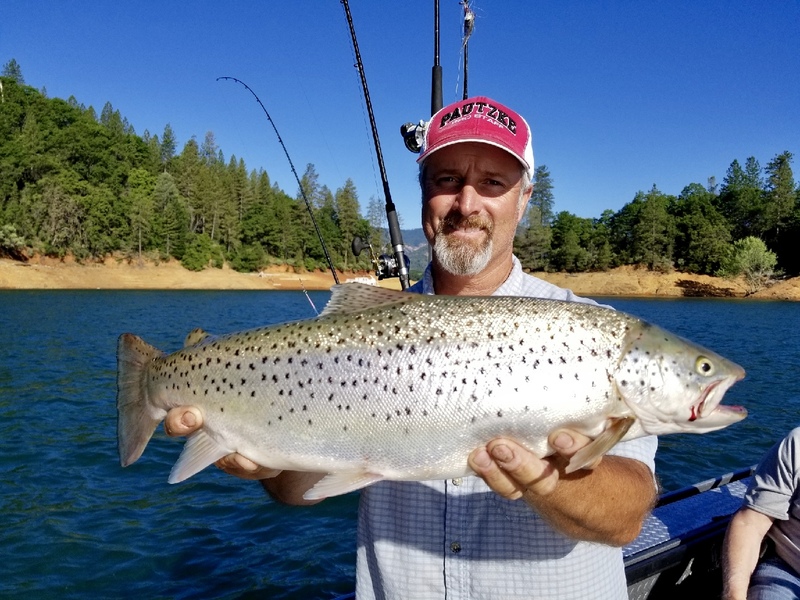 Big Shasta Lake browns are taking center stage!